Human - Nature is an exploration of Thomas Bucich's life long appreciation of nature, and all it represents. His artistic plasticity allows him to roam between the disciplines of drawing, painting and sculpture, with a somewhat unified and poetic collision. Once again he experiments with an ‘unexpected' material base and introduces a vibrancy that allows him to fuse the rustic realness of the past with a contemporary present. It is his intention to provide us with a mirror into the beauty and chaos of both the creation and destruction of nature within an artistic realm. Thomas Bucich, a New York native and permanent resident in Australia, has pursued his professional career running an multi-disciplinary studio in Art and Design since 1990. From classical fine arts training at The Arts Students League and a Bachelor of Fine Arts Degree in Architectural Design from Parsons School of Design in New York City, Thomas’s career has spanned across the architectural interior and fine arts markets in New York and Sydney. Following nearly three decades producing luxury interior residential and commercial environments, while also maintaining an active fine art practice; Thomas has now committed to a full time pursuit of expanding his art through commissions, working alongside art consultants and producing exhibitions. His works are created in a variety of mediums including cast bronze, carved stone, and manipulated found objects through to works on paper and canvas. 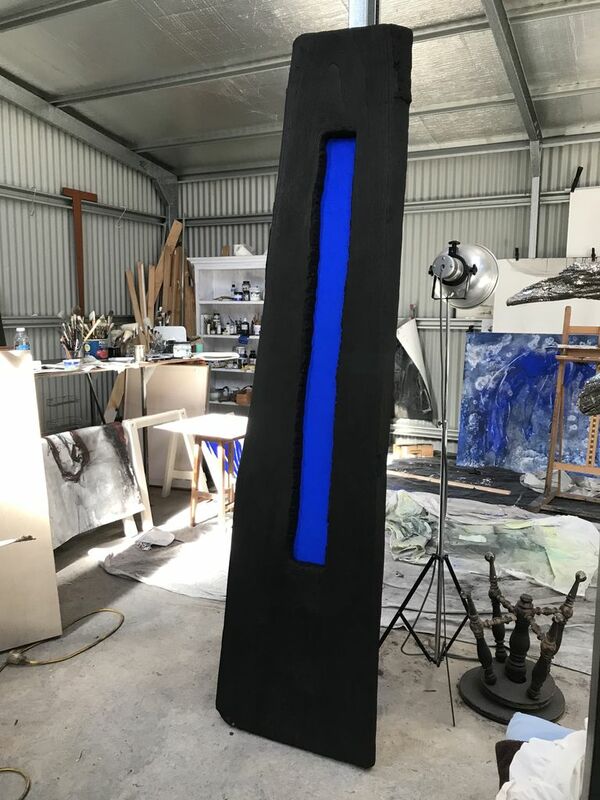 Whilst exhibiting in various galleries in Sydney and Regionally, Thomas has won major sculpture prizes and commissions including the Thredbo Sculpture prize with permanent placement of a life size cast bronze in the Thredbo Village Green, and more recently The Moss Vale Veterans War Memorial - an 18 metre long relief mixed media sculpture. His works are also in the permanent collections of several international hotels, corporate offices, restaurants and private collectors.